New to the Unique Inflatable Collection! The Big Top Combo Bounce House features a basketball hoop, slide and jumping area. With eye popping looks and unique design this bounce house will keep kids entertained for hours. 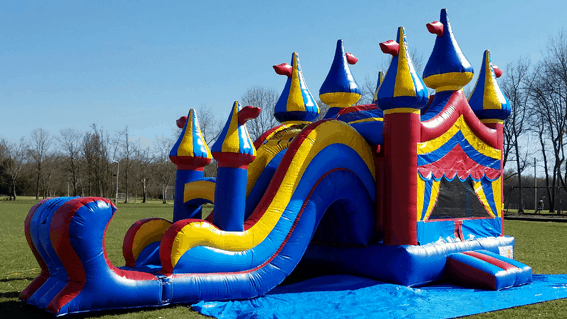 This Bounce house can be used wet or dry. Check out the option to add a water pool.